ATP has been training, packaging and consulting for US Government agencies and their contractors for over twenty five years. We are proud of our outstanding reputation and past performance reviews and scores. Partnering with ATP ensures outstanding service. ATP has been a GSA Scheduled Contractor under LOGWORLD since 2004. 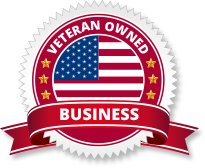 We are a veteran small business allowing organizations to best fulfill their SBA requirements. Our state of the art, 40,000 square foot packing and crating headquarters is located 3 miles from Dulles Airport and 20 miles from Washington, DC. with an onsite Facility Security Officer. Our highly sought after IATA Accredited Training School, attracts students from across the country. We are the only facility on the East Coast that offers the added bonus of real life dangerous cargo being pack, every day, all day for over twenty-five years.